Meg's Food! 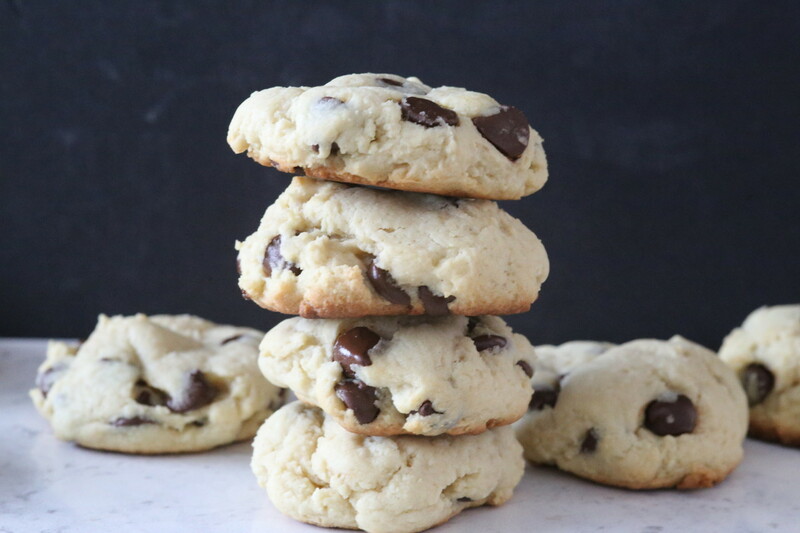 | Soft Baked Cream Cheese Chocolate Chip Cookies - Meg's Food! My original World Famous chocolate chip cookie recipe is pretty legendary. They’ve been made on several continents, are super easy to make, and are always devoured whenever I bring them anywhere. Why improve on a good thing, right? Sometimes though, it’s fun to switch it up. I’ve been seeing recipes for cream cheese cookies on Pinterest for awhile, and this week I had some leftover cream cheese I wanted to use up. So I thought I’d try it out in my tried and true cookie recipe. 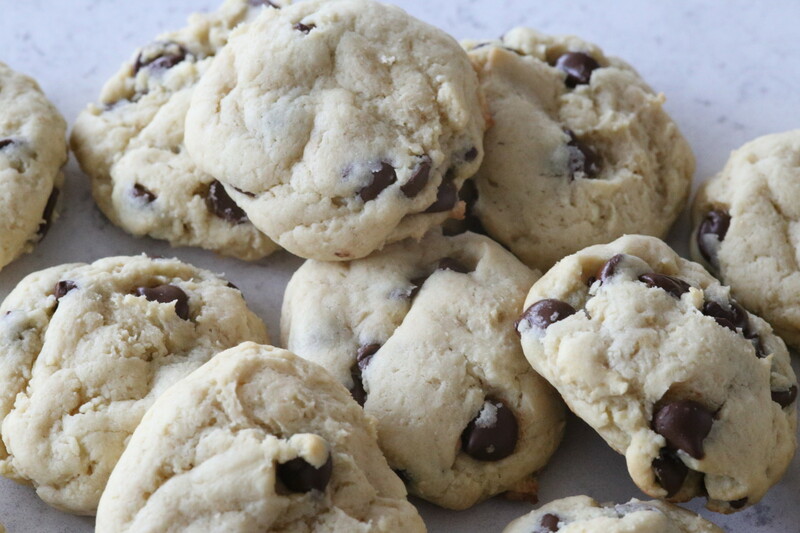 Cream cheese makes these cookies suuuuuper soft. You can’t actually taste the cream cheese, and even though it is used to substitute for some of the butter in the recipe, it actually makes them taste more buttery. So so rich. I put in 2 tsp of cornstarch as well to help keep the cookies nice and soft. 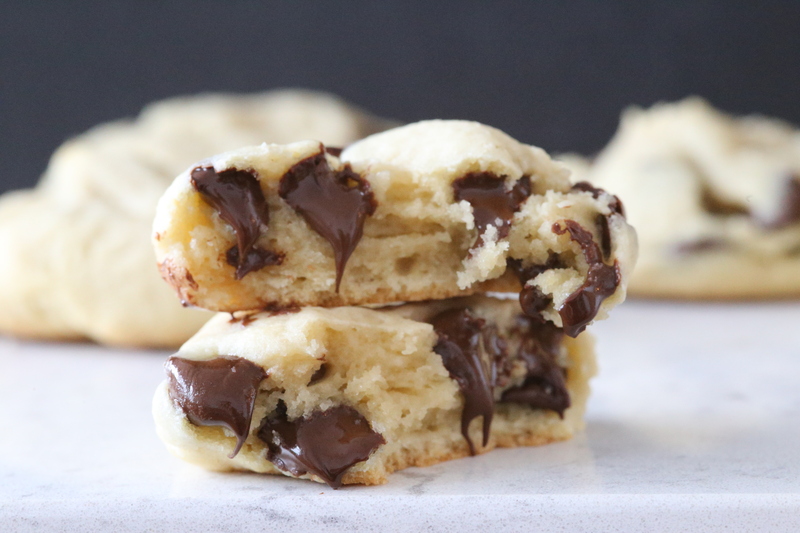 These super soft cookies are a great way to change up your chocolate cookie game! Preheat oven to 325 and line a few baking sheets with parchment paper. In a small bowl combine flour, corn starch, salt, and baking soda. Set aside. In a larger bowl, beat together butter and cream cheese. Beat in both sugars, and then eggs, one at a time. Stir in vanilla. 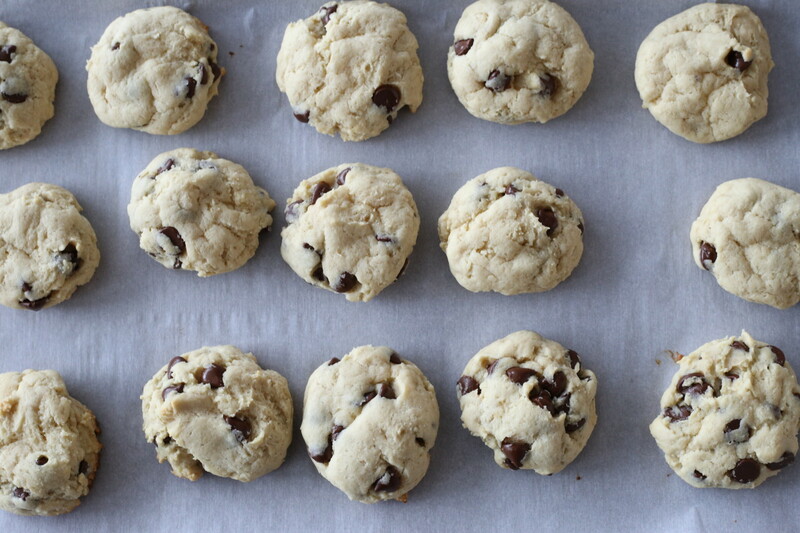 Fold in dry ingredients, stirring until combined, and the add chocolate chips. Bake 9 minutes. The cookies should be super soft when you take them out, almost to the point where you think they aren’t done yet, but they are! Leave them on the baking sheet another 10 minutes and they’ll be perfect. 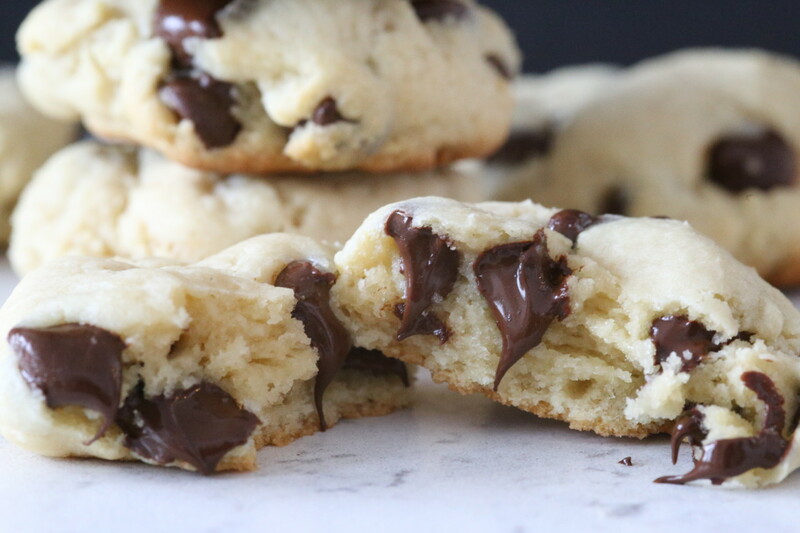 Just when you thought a cookie recipe couldn’t get any better! Try this subtle change for an even softer, richer chocolate chip cookie! This entry was posted in Recipes, Sweet and tagged chocolate, chocolate chip cookies, cookies, cream cheese. Bookmark the permalink.